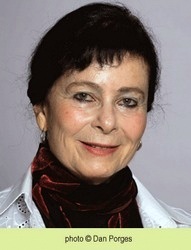 Dorit Orgad was born in Germany in 1936, and came to pre-state Israel in 1939 as a young child. She studied economics and sociology at the Hebrew University of Jerusalem and earned her PhD in Jewish philosophy from Bar-Ilan University. Orgad has taught at various schools and academic institutions, including Bar-Ilan University and Levinsky College of Education. She now writes for the press and tutors writing groups. Orgad has published three adult books and 70 books for children and youth. Several of her books have been adapted for TV and for the stage. Her many awards include the Lamdan Prize (1981), the Ashman Prize for Short Children's Stories (1982), the Haifa University's Adrian Tomas Prize (1984), the Ze’ev Prize (1987), the Bernstein Prize from Haifa University's Education Department (1987), the Hadassah & Haifa Foundation Prize (2000), the Yad Vashem Prize (2001), an Honor Citation from the WZO for lifetime achievement and for her books about children from Ethiopia (2004), and the Verghereto Award (Italy, 2006). Her y/a book Kalkidan was nominated Favorite Youth Novel by Israel’s Ministry of Education (2007), and received the Ministry of Culture Prize (2007). It also received the Public Libraries Award (2012). 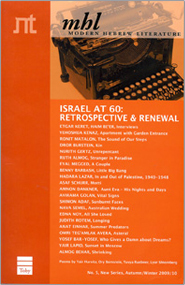 Orgad has been also awarded the Devorah Omer ACUM Prize for Yuri Breaks his Silence (2017) and the Devorah Omer Prize for Lifetime Achievement (2017). Her books have been published in 11 languages.